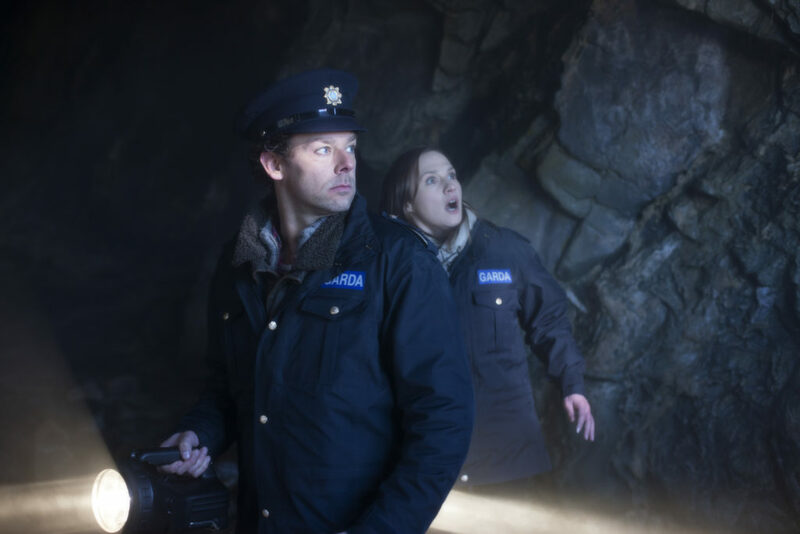 On Erin Island, an idyllic fishing village off the coast of Ireland, charming but somewhat work-shy Ciaran O’ Shea (Richard Coyle), is tasked with greeting Lisa Nolan (Ruth Bradley, in an IFTA award-winning performance), a straight-laced young officer who has arrived from the mainland. Not that there is much for them to do, aside from dealing with the occasionally drunk, and that’s usually O’ Shea himself. But strange doings are afoot; the crew of a fishing boat disappears, whales start appearing dead on the shore, a local lobsterman catches a strange tentacled creature in his trap. Soon it becomes clear to O’ Shea and Nolan that there’s something big out there, and that it’s hungry. It’s time to rally the villagers, arm the troops…and head to the pub. “A near-irresistible Friday-night-out monster picture”– Kim Newman, Empire. “an inspired premise, appealing cast and mix of laughs and thrills ensuring it’s destined for cult status”– Digital Spy. “A bright, breezy Irish monster mash boasting gorgeous cinematography, appealing performances and great SFX”– Total Film.